If you really want to know how spiritually awake you are, spend time around other people. For each of our relationships—from the brief interaction with the barista to our bonds with lifelong partners or family members—reflect back to us our predominant state of consciousness. Among Eckhart Tolle’s books are The Power of Now and A New Earth. He also has many audio and video programs available. If you really want to know how spiritually awake you are, spend time around other people. For each of our relationshipsfrom the brief interaction with the barista to our bonds with lifelong partners or family members reflect back to us our predominant state of consciousness. 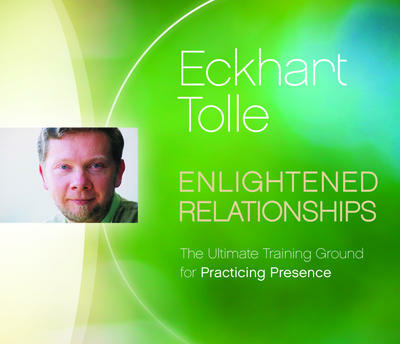 On Enlightened Relationships, Eckhart Tolle offers an insightful two-session program for bringing the transformational power of presence into this often challenging yet deeply rewarding area of our lives. Session one explores the arising of a new consciousness on the planet, and how more and more of us are beginning to experience a shift from an egoic, thought-based identity to the realization of what Eckhart calls our essential Being nature. Session two offers a practical look at how this emerging awareness impacts our relationships, as well as the steps we can take to welcome the vertical dimension of space and stillness as the source of true connection and harmonious relationships.